When both of my kids were babies I started singing them a bedtime song. They each have their own song that is special to them. The song I sang to my son was "You are my Sunshine"
For many, many, many years that song was sung at bedtime to my little boy. Y'all, he just turned 21!! How in the world did that happen? Mind you, I have not one bit of vocal ability but it meant the world to my kids and that was all that mattered. I took a little time recently to step back from cooking and baking. On January 2nd my world came crashing down. My father, who fought a long and hard battle with Parkinson's Disease finally lost his battle. I knew when that time came it was totally going to break me but I had no idea just how broken I would be. This has been one of the hardest things I have ever had to go through. During my grieving process I had no desire to get back in the kitchen at all. It did take me quite a few weeks to get myself back into the kitchen. One of the first things I made was this Pineapple Sunshine Cake for our sons birthday. I had to make sure my boy had a special cake for his special day. As soon as I told him the name of the cake, his eyes lit up! 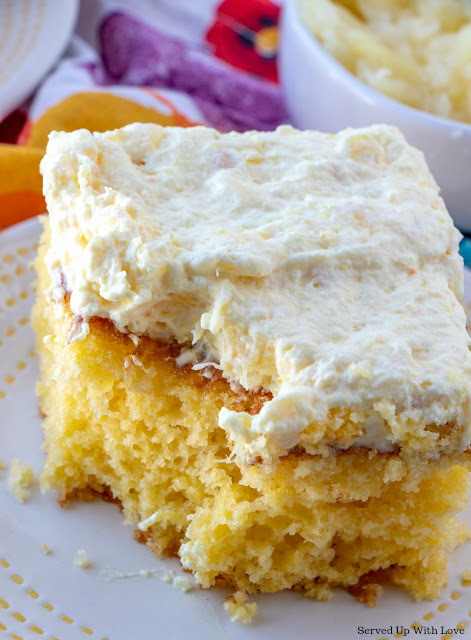 This cake is super simple to make using a cake mix. Adding the pineapple to the cake mix changed up the boxed cake mix flavor just a bit. 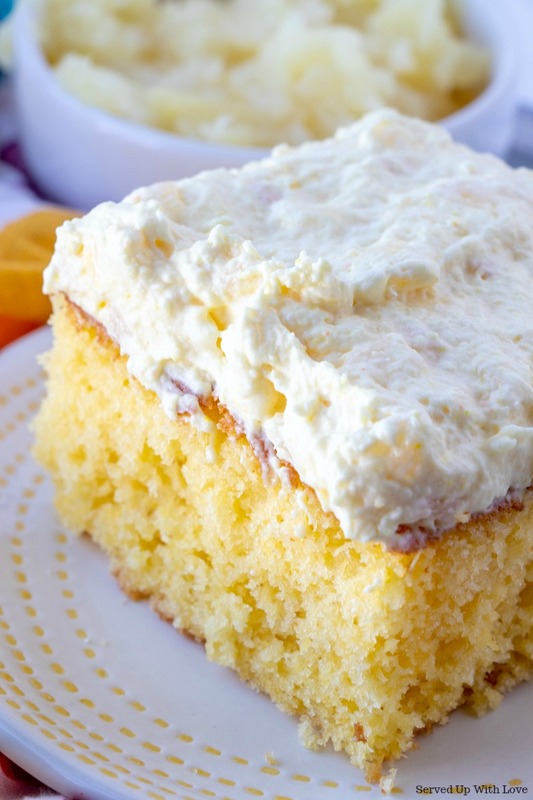 A white cake mix is perfect for this cake as well. But what brought this cake over the top was the frosting. 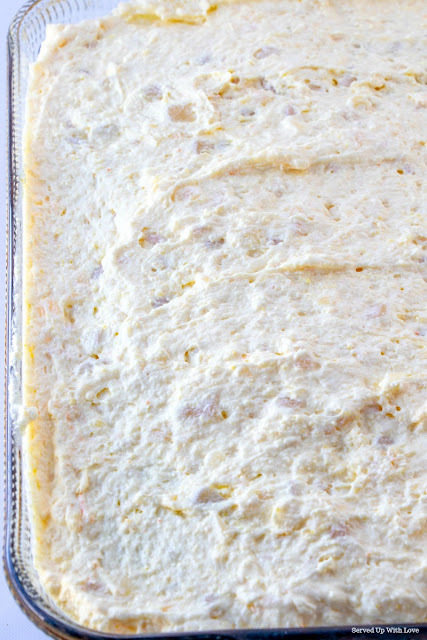 You really have to make this cake just to try the frosting. 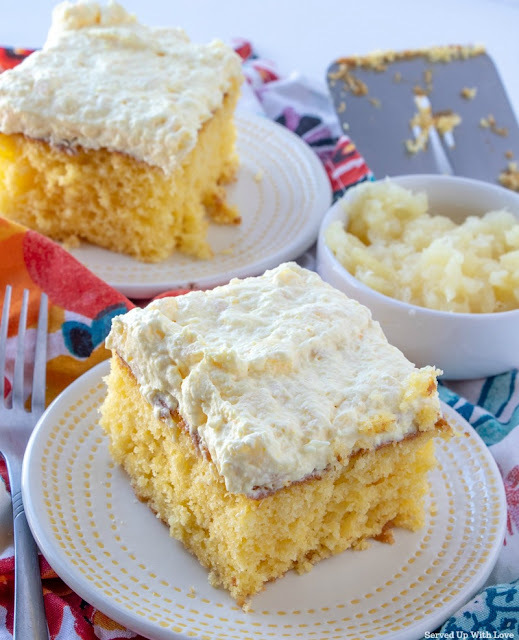 It is just something about that whipped topping, pineapple, and vanilla pudding combined that makes you want to skip the cake and just eat it with a spoon. AND even though my boy is too old for his moma to sing him a song, my daughter still has to have her special song sung every night before bed. 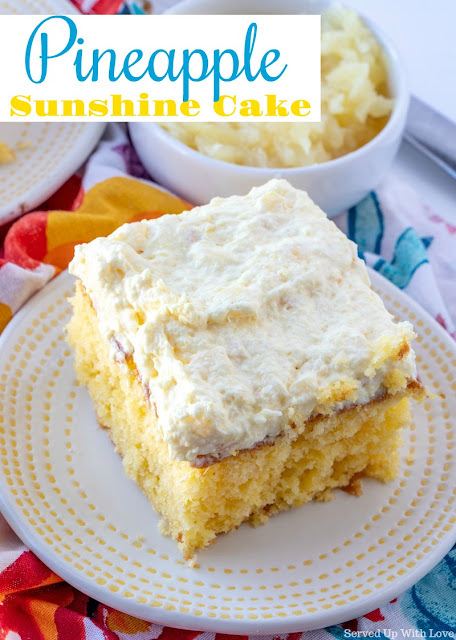 She is my "Twinkle Twinkle Little Star"
The frosting on this Pineapple Sunshine Cake is to die for good. Preheat oven to 350 degrees. Spray a 9 x 13 pan with cooking spray. 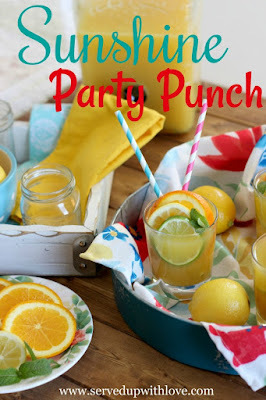 In a large bowl, combine cake mix, eggs, oil, and 1 can of crushed pineapple with the juice (or half of a large can) and mix well. Pour into prepared baking pan and bake for 25 - ­30 minutes, or until toothpick inserted in center of cake comes out clean. Cool completely on a wire rack. 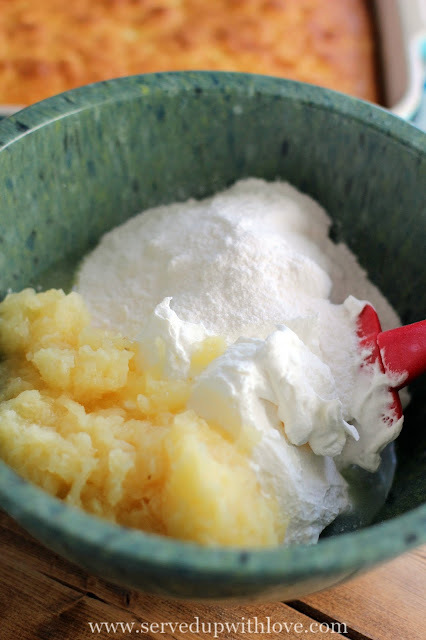 In a medium sized bowl, fold together whipped topping, box of vanilla pudding, and 1 can crushed pineapple with the juice (or other half of can). Spread over the top of cooled cake.